Upgrade your knowledge and practical skills in the field of Sport Physiotherapy, Sport Science, and Sport Medicine with SPC. Help ensure that this country’s competitive and recreational athletes receive a uniform quality of care from physiotherapists working in sport. 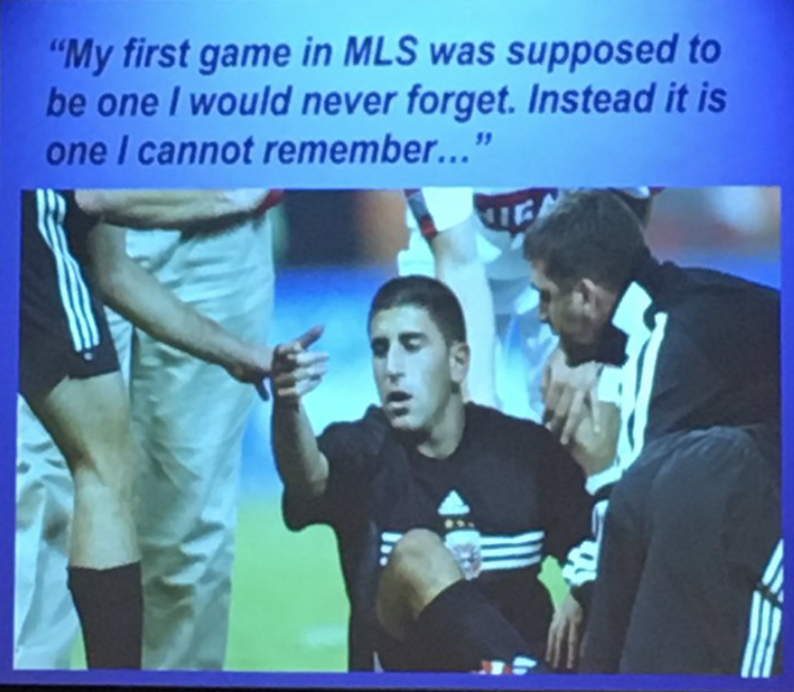 The goal of the Credential Program is to provide an education framework or guideline to be used by physiotherapists who wish to develop knowledge, skills and behaviours pertinent to the specialty of Sport Physiotherapy. Specific guidelines were established for the recognition of competency for Certificate in Sport Physiotherapy and Diploma in Sport Physiotherapy. Candidates at any level require a firm foundation and understanding of the core curriculum at that level in order to advance through the system. Both the Certificate and Diploma levels are competency based, formally evaluated standards. Curriculum material may be covered in a variety of ways including small group seminars, weekend symposia, SPC modular programs, self-study, or advisor-directed report writing. Both the Certificate and Diploma levels test competency standards using nationally standardized written and practical examination process. It takes time, hard work and practice to become the best. Sport Physiotherapy Canada has a Mentor system of experienced, Credentialed members to support you along the way. All of our Mentors have experienced the Credential Program first hand and are applying their sport physiotherapy skills in the clinic, on the field, with local teams and national level athletes. Let our Credentials speak volumes about your abilities. 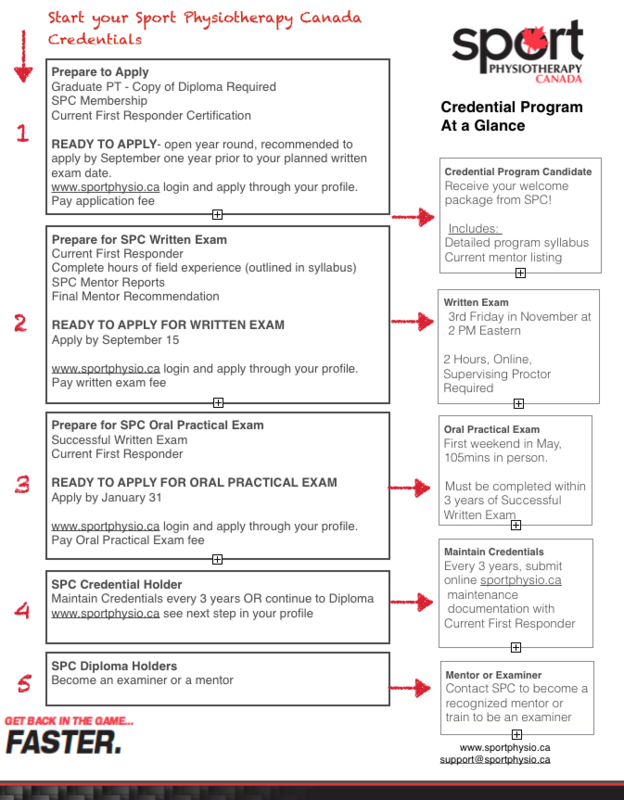 Achieving SPC Certificate and Diploma Credentials not only opens up a whole world of new opportunities, it provides confidence to the teams, coaches, and patients you work with that you have what it takes to get the job done. SPC Credentials are the recognized standard of excellence in Canada. Get started on your Credentials today and prove you have what it takes.